There is no such thing as “positive punishment” for your dog. Today, discover why so-called “positive punishment” is really just correction…in disguise! 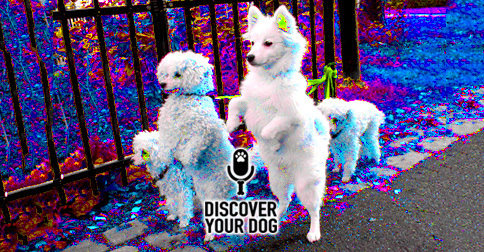 In this episode, you will learn a way to convert any problem with your dog into an opportunity to praise. A correction is anything negative that you use to make your dog stop doing what she is doing and pay attention to you. Most corrections are done in the moment. The unfortunate thing about that is this is the only time a correction is made. This does not give the dog an opportunity to know what is expected in that situation and then your dog has to be the one making a new decision in the moment. Typically that decision is not something you want and then you are correcting for that new behavior. As an owner, you use whatever form of correction and then you immediately praise your dog when she has stopped the behavior. 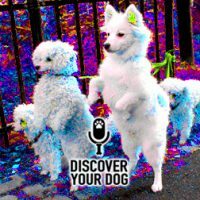 In Ep 052, Bennie talks about the difference between behaviors you never want your dog to do and behaviors you are okay your dog does, you just need her to stop when told. When you immediately praise right after a correction, any form of correction, you are telling your dog that her behavior/action was okay, just to stop when told. You are to use this type of “positive punishment” and then make your dog do a command to direct their focus on you. In this case, you are now just teaching your dog to focus on you after a correction. You are not teaching your dog how to behave in that moment. He teaches that correction is a good tool and is not a good method of training. With any type of correction there is always the option of going too far or correcting too much. Over-correcting your dog creates fear. Dogs will either become fearful of any correction you use or they will become desensitized to it. Either way it is a path of eventually testing your boundaries and testing the boundaries of that fear. There is no such thing as “Positive Punishment”, it is just a way to sugar-coat a method of correcting your dog. There is no problem with correction as long as it used as an appropriate tool and you are taking the time to teach your dog how to behave in all of the situations you expect your dog to be a part of your life. Pick one behavior you want to work on and set aside a maximum of 10 minutes a day for 6 days this week to work on that particular behavior. Give your dog off one one day a week. At the end of this homework and in the show notes, we will list some specific behavior issues that I have given homework for so you may look them up quickly. (Bennie teaches that most behaviors that you correct for for 30 to 60 days in a row will go away). Most behaviors you give positive, pleasing attention to will be created in 30 to 60 days. In order for this to happen, you have to be aware of how you expect your dog to behave in any particular situation and praise them for that thing. ATTENTION IS PRAISE, so any attention (good or bad) can teach your dog to act a certain way if you give that attention consistently for 30 to 60 days. Figure out how to state what you want your dog to do, set up the behavior choices, then state that affirming thing to your dog before you start the temptation. This is the moment you must take your dog away from the temptation, give at least 5 seconds, and then re-approach. Only pick one behavior to work on at a time!